A new experience…who I am and why I’m here. 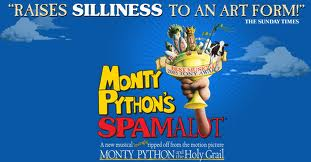 Like many people, I grew up watching the silly antics of Monty Python on TV, and as you grow older it seems that the silliness becomes funnier. I only have to look at John Cleese to start smiling, much the same as when I look at Tommy Cooper. There’s something about that type of comic that is ageless. The ‘my way or no way’ syndrome.